Frequently Asked Questions: How can I Control the Speed with which I Speak? As an executive communication coach, I’ve found that no two of my clients are exactly alike. Everyone has their own unique strengths and challenges when it comes to professional communication. However, there are some questions that I see time and again across clients. In this week’s blog, I’d like to address one of our frequently asked questions: How can I control the speed with which I speak? It’s very common for people to speak quickly when they’re nervous or excited. Unfortunately, speaking too quickly can be quite damaging to your speech clarity and your overall professional image. Speaking too quickly makes it much more difficult to understand your speech, decreasing the overall impact of your message. Rushing your speech also makes it seem as though you’re unsure of yourself and want to get speaking over with as quickly as possible. Speaking at a slower, more relaxed rate projects an air of confident leadership and gives your message more perceived value. So how can you go about controlling your rate of speech? One way to improve your rate is to incorporate strategic pauses into your speech. At Corporate Speech Solutions, we’ve created a Strategic Marking System™ to help organize pausing during speech. / = A short, typically 1-second pause. This is often used to emphasize a particular word or point, or may be used where a comma occurs. // = A mid-length pause, roughly 2 seconds. This may be used to break up sections of a sentence or add particularly strong emphasis to a word or phrase. Next time you need to speak in public, go through your presentation beforehand and write in where you think you should pause and for how long using the Strategic Marking SystemTM. Then, try reading it out loud with the inserted pauses. Putting intentional thought into pausing may feel unnatural at first, but with regular, systematic practice, strategic pausing will not only make your speech sound more confident and powerful, it will also help your listener fully absorb your message. Previous Four Easy Steps for Cutting Fillers out of Your Speech! 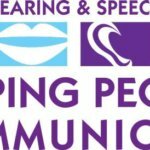 Next May Is Better Speech and Hearing Month! How Can a Corporate Speech Pathologist Help You?